After a big clean up on 28th, oinai karasuma are going to be closed and our new year holidays starts. 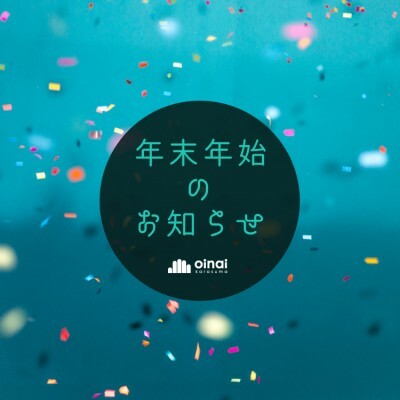 Thank you very much for using oinai this year. I hope you have a wonderful time over the new year holidays and we wish you would spend another good year in oinai!